Born out of passion. Veteran treasure hunter, Darren Cioffi, developed a love affair with cigars through years of handling antique cigar box labels and tobacco artwork. He amassed a vintage tobacco library with cigars dating back to the 1870s and has smoked countless aged and pre-embargo examples. He embarked upon creating a series of Cigars that encompassed the entire beauty of this product: the presentation, the tobacco, the blend, the vitolas, the construction, all in harmony to give pure pleasure to all the senses. Having traveled extensively to the world’s premier cigar tobacco growing countries, Darren met up with Hendrik Kelner Jr., scion of the legendary ‘Henke’ Kelner. The two spent a year and a half selecting tobaccos and working to create blends that met with Darren’s vision. The tobacco needed distinct characteristics only available with significant age, the flavor profiles had to be in vibrant harmony and every blend had to combust and draw perfectly. This task took them through several countries, many farms and discussions with countless estate growers. Darren and Hendrik were most selective in the productions they accepted. Cultivated tobaccos were processed to their tastes and put aside until maturity for rolling at the very small ‘Kelner Boutique Factory’ in Santiago, Dominican Republic. The four top rollers at ‘KBF’ are responsible for every cigar that Principle releases from the factory. 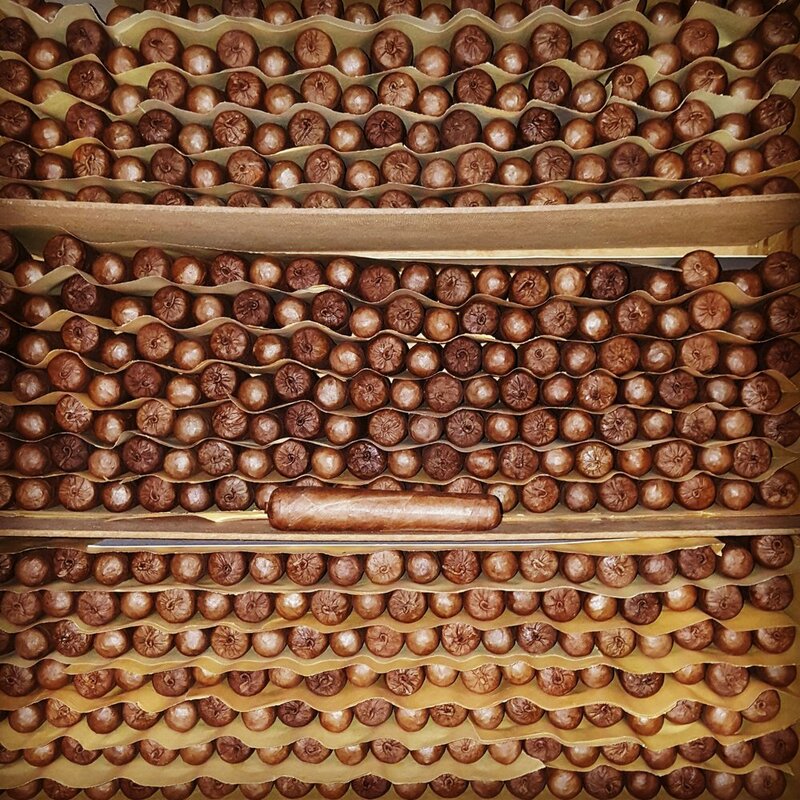 Production is severely limited and for some vitolas, to as few as 10 cigars per day. Each cigar is checked for quality by Hendrik Kelner himself and every batch is tested for burn, draw and taste. A truly artisanal product, made with passion, care and flair!